Ovens are designed by different brands but to serve the same purpose. If they fail to do so, call us. We are oven repair Cranford experts and can also fix stoves and ranges. Our services include microwave repairs and the replacement of parts of any of these cooking appliances. Our professionals from Appliance Repair Cranfordare experts in the installation and service of built-in and range ovens and stoves. We will be happy to serve the needs of residential customers in Cranford, New Jersey. 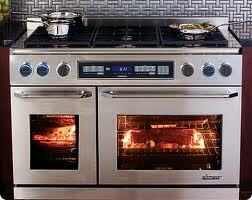 We provide same day oven repair and can fix problems related to any brand or oven type. So our repair service would include a microwave problem, the replacement of your regular oven’s door seal, ranges, and both electric and gas units. When it comes to gas oven repair, expect our immediate response. Not that we don’t respond quickly for any other service or electric ovens. But gas appliances might compromise one’s safety. And so we go the extra mile for each client in Cranford. Since gas oven installation must meet certain safety standards and be done correctly, let us help you with such tasks too. We actually install all stoves, ovens, and ranges and can schedule an appointment to fit in your busy schedule. Do you have a range? Whether there is a problem with the oven or stove, you can leave any range repair to our experts. Whether or not this is a gas appliance, we can service it. When it comes to stoves, we don’t only fix those integrated to ranges. You can also call us for cooktop stove repair. Every time we come to service or install your appliances, we are fully equipped. We replace defected parts in a timely manner and use outstanding spares. The reasons for trusting our oven service? We provide comprehensive service, respond fast, can fix and install every cooking appliance in your kitchen, are prepared to do any job required, and have the qualification you expect from pros. So do get in touch with us whenever you are in need of oven repair in Cranford, can’t use the microwave or stove, or the range is problematic.